Modern Quilt Wall Art - it's about time! I have been supplying patterns to quilt shops for 24 years now -- not quilt patterns but the 'other stuff' patterns that quilt shops sell to add variety to their inventory. 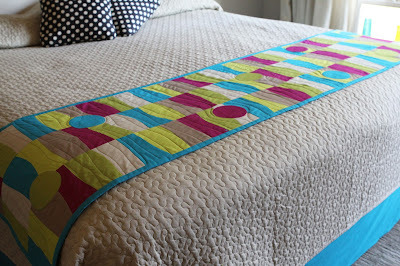 I have tried a few quilts, the purist kind, and always thought I should leave that up to the real quilters! 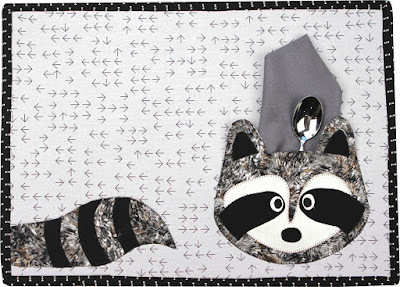 But I have for a time now liked the modern art quilt projects and have felt quite tempted to engage in making some! 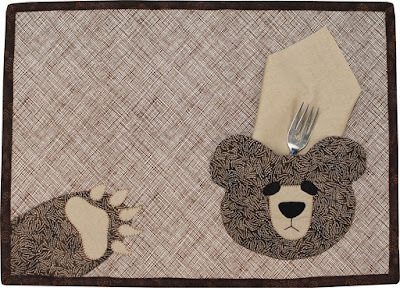 I still don't want to engage in large quilts, but the wall art size is really tugging at my heart. I mean tugging for a few years now. 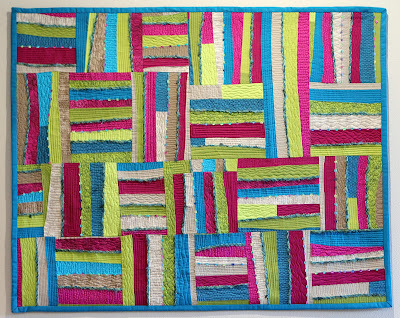 So maybe it is about time to start my dabbles in modern quilt wall art. Here's my first project I started a few months ago -- I actually love how it turned out! I added some texture by adding some wool yarns and another trim along some of the seams, something you would not do on a traditional quilt. I also had to figure out a system for cutting strips with irregular edges that matched the edge of the next strip that it is being sewn onto. I will write up a tutorial on how that is to be done and post it soon. Though this project is on the wall in my front entry, it does match a bed runner and covered bench in my bedroom. The most desirable beauties around! 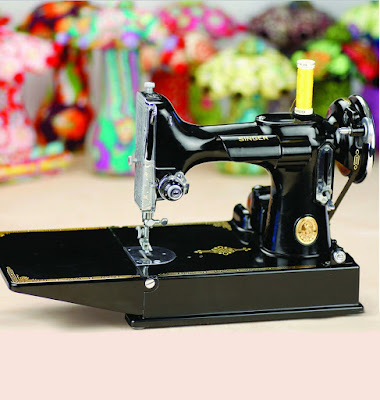 But a Feather Weight sewing machine!!! This is a 1940 Singer 221 in great condition (a Forsdyke grading of 8.0). Beautiful scroll plate. Graphics still lovely! Yummm! She was kept in a controlled vault for most her life by this guy who collected about 40 Featherweights for years until one day, he had to let them go. I hear he cried the day he signed off on the sale. I bought it from the guy he sold them all to. This second guy didn't have them long; they went fast; I actually bought two. I will show the other one as soon as I get a photo done. Anyway, this second guy refurbished the electrical cord and made sure the machine hums perfectly. All sorts of goodies in the original case. She is for sale! Track me down at my phone number at Vanilla House designs website! So why am I selling? Well, quilters love them, and though I have started quilting some pretty great projects, I am not sure I am at that level where I will use a Featherweight. These are for the pros! 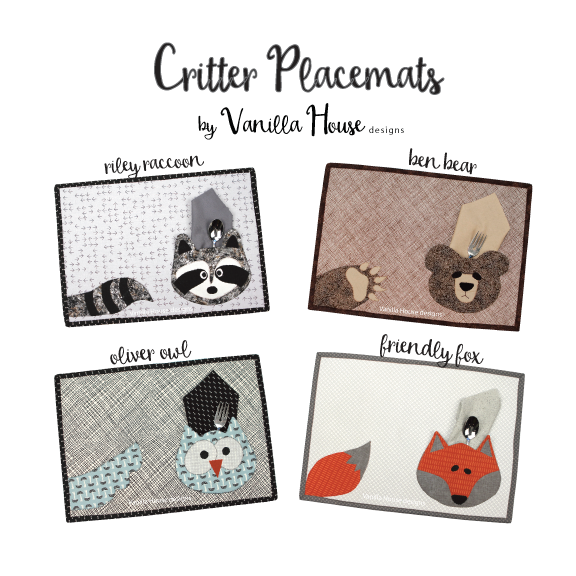 The Critter Placemats -- a closer look! 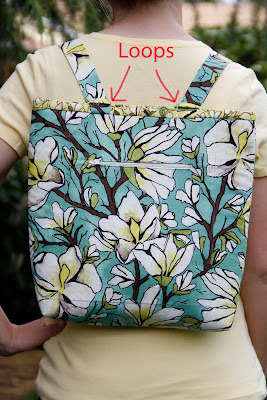 I love the technique for making the pockets! So I use my Easy Slider satchel every single week! 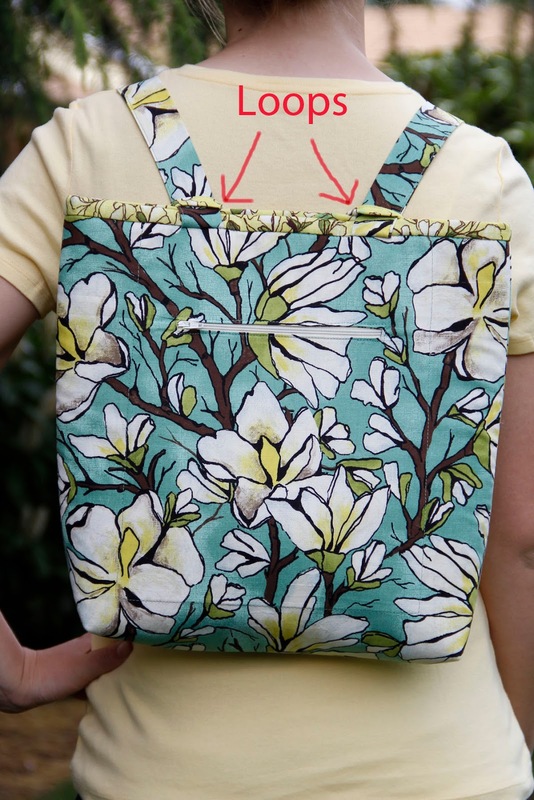 The shorter below is perfect for carrying a notebook. Or the longer version, great for my laptop! 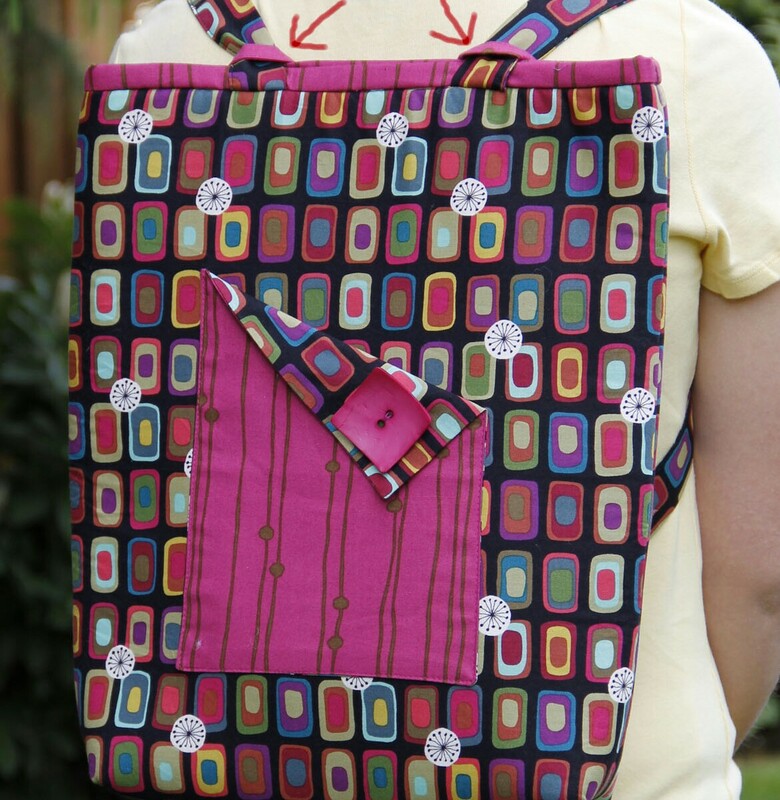 The shoulder straps are threaded through some loops which makes the satchel cinch up when carrying it or when it is on your back. 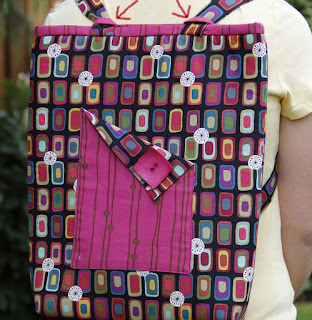 I really like the option of being able to throw my bag on my back if my shoulders get tired. It's great ergonomically! This final spring release pattern has yet another type of applique. And I love this concept -- it has so much potential. I originally came up with this concept when making my 'Fabric Bling' series of fabric jewelry. [Btw, I will admit the fabric jewelry line didn't go so well -- too much competition in the jewelry world for SURE! ..... sad, because some of the jewelry pieces are amazing!]. 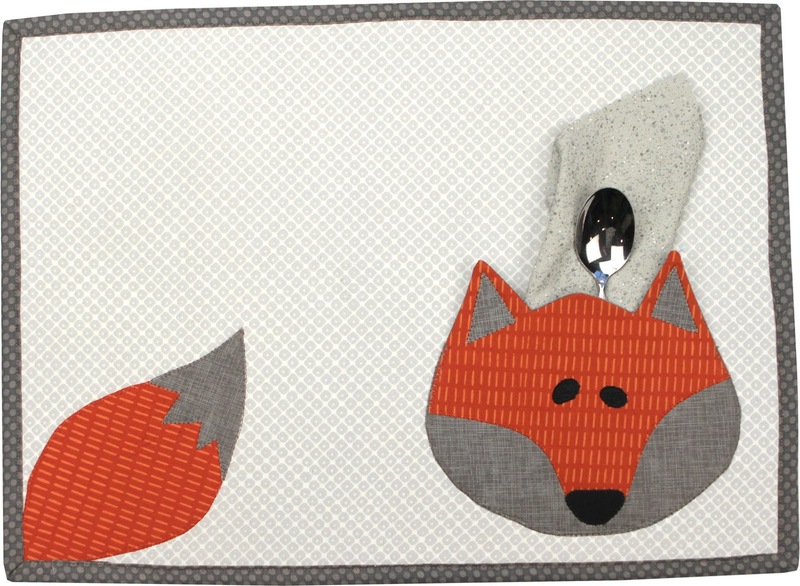 Anyway, this applique concept is used to make pockets on place mats ...... using our spring theme of 'critters'. So cute! 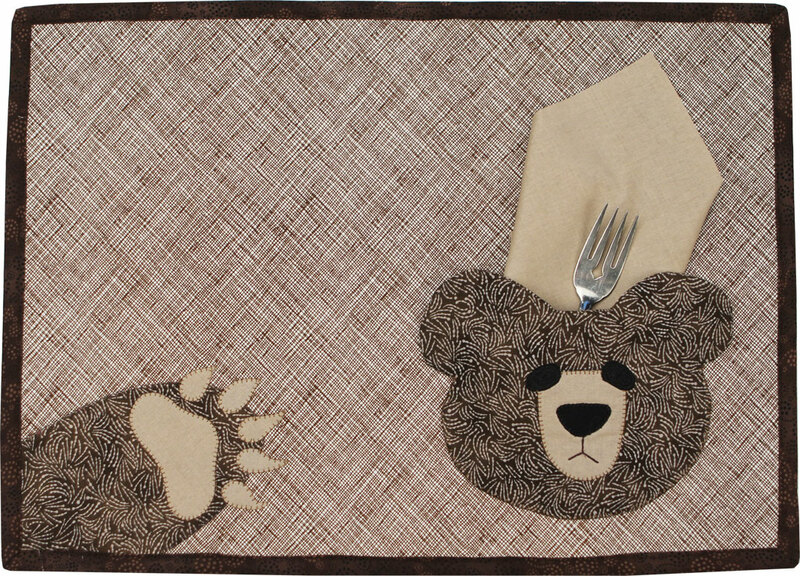 You make the critter face by making the 'whole applique' so to speak, complete with finished edges, independent of the place mat. 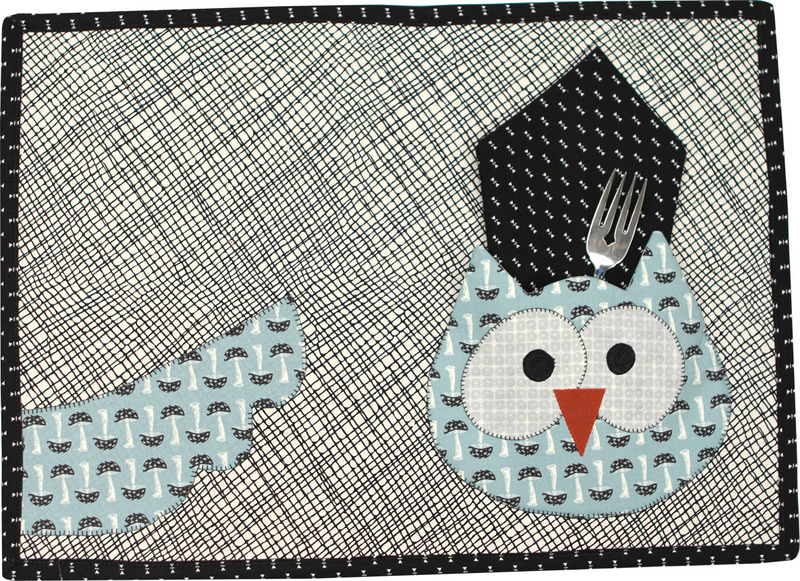 Then attach it to the place mat just like you would any other independent embroidered applique, except attaching it only around the bottom edge so it makes a pocket for a napkin or silverware. Cool! 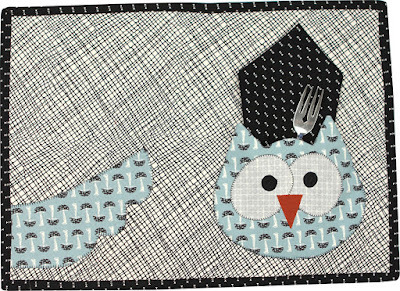 Critter Placemats - P224 or vhE224 for the download version.